And of course Java EE! Download the most recent JavaEE Full and Web distribution zip/tgz file, which is now 13.0.0.Final. Make sure you have Java 8 installed. For installing java, you can use sdkman which can smartly manage different versions of jdk. For more about sdkman, see this post. and follow the instructions as prompted. After the username and password has been set up, same can be used to access the management console from the URL mentioned above after starting the server. 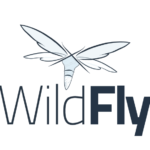 These are the steps to install and run WildFly server in standalone mode.